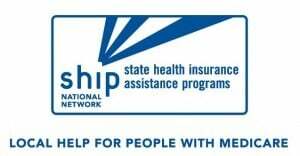 The State Health Insurance Assistance Program, or SHIP, is a program that offers local one-on-one counseling and assistance to people with Medicare, and their families. Appointments may be made to visit our local office in Bisbee or the Wellness Depot in the Sierra Vista Mall (call 520.459.8210), or our counselor can come to a community organization. Counselors offer information, counseling, and assistance to Medicare beneficiaries on a wide range of Medicare, Medicaid, and Medigap matters including, enrollment in Medicare prescription drug plans, Medicare Advantage options, long-term care insurance, claims, and billing problem resolution, information and referral on public benefit programs for those with limited income and assets, and other health insurance benefit information. In addition, our counselor also supports efforts to inform Medicare beneficiaries about fraud and abuse. I am new to Medicare. When should I sign up for Medicare Part A or B? Is there financial assistance to help with premiums and/or co-payments? Can I get help paying for prescription drugs when I have no insurance? How do I decide if I need a supplemental plan and if so, how do I chose the best one? Can you help me compare the choices for Part D, the Prescription Drug Plan (PDP)? What do I do when one of my medical expenses was not paid by my plan and I feel it should be covered? The Senior Medicare Patrol (SMP) Program is designed to involve retired professionals as volunteers in the education of their peers in safeguarding the Medicare and Medicaid programs. TheProgram grew from the development and success of the Operation Restore Trust program that was launched in 1995 under the Health Insurance Portability and Accountability Act (HIPAA). Operation Restore Trust was an anti-fraud cooperative partnership program originally developed infive states to test innovative safeguards in fighting fraud and abuse in both the Medicaid and Medicare programs. In 1997, Operation Restore Trust expanded to 12 additional states including Arizona.